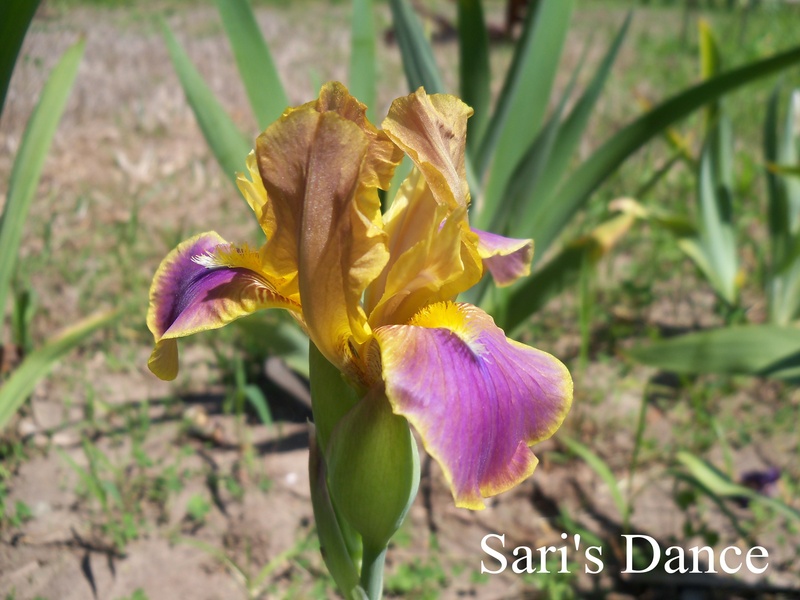 The Can-West Iris Society has two exciting presentations April 21st. 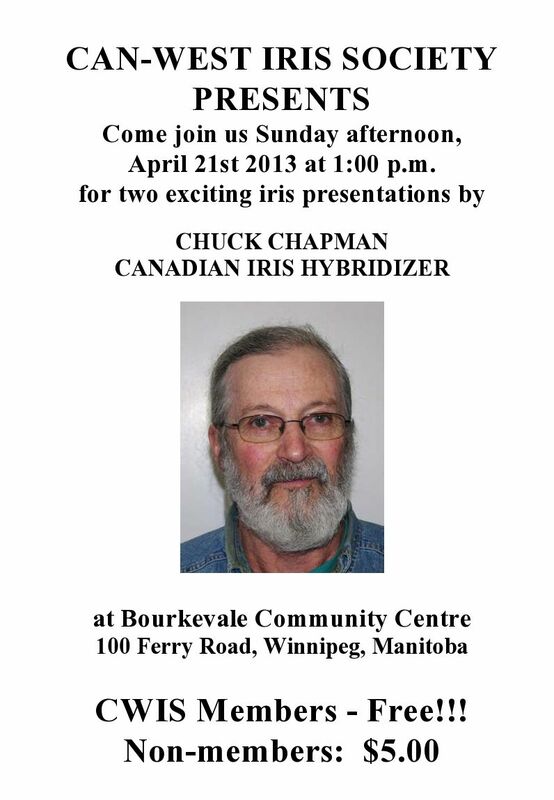 Join them for these presentations by the Canadian Iris Hybridizer Chuck Chapman beginning at 1 p.m. Members and non-members invited! The Iris Societies in Region 21 produce a number of newsletters to keep members and iris enthusiasts informed. You will be able to find some of these on our Newsletter page. The first one comes from the Lincoln Iris Society with their Rainbow Messenger newsletter. You can find their upcoming meetings and plans in their February 2013 edition. Note: The February meeting is Monday, February 25 with County Extension and It’s Services and Soil Preparation for Irises by Sarah Browning. To see the newsletter, go to our Newsletter page and follow the February 2013 link (it’s the only one on the page now) to download or open the PDF of the newsletter.